The second part of the Tandem Workshop Pattern Dynamics in Nonlinear Optical Cavities (PDNOC-2) takes place from 6-16 June 2017 in Auckland. It is a joined workshop between the Max Planck Institute in Dresden, the New Zealand Institute for Advanced Study (NZIAS) and the Dodd-Walls Centre for Photonics and Quantum Technologies (DWC) in Auckland. Organizers are Neil Broderick, Bernd Krauskopf and Kathy Lüdge. 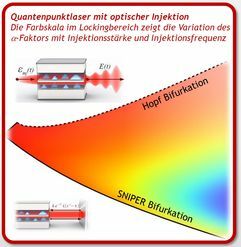 The focus is on pattern formation happening in optically active media, e.g., in different semiconductor cavities, in fiber laser setups or in materials with nonlinear optical properties. Details can be found here .